The newly launched integration enables mutual customers in staffing, RPO, and corporate HR to leverage video interviewing technology from a single software platform. 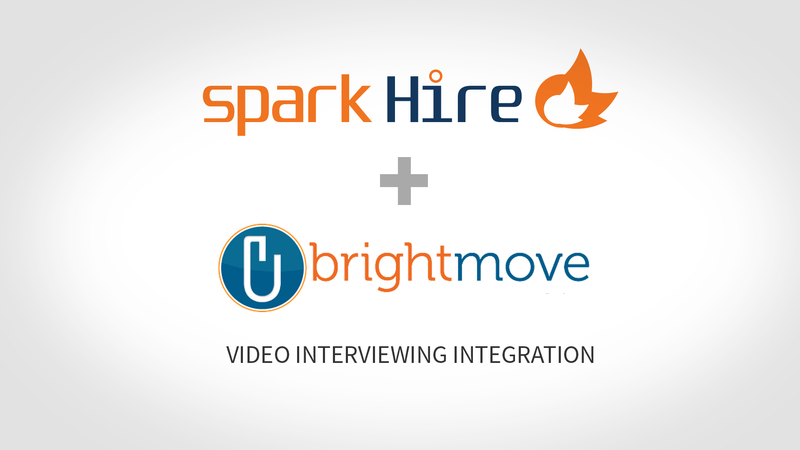 Northbrook, IL, December 8, 2015	(Newswire.com) - Spark Hire (www.sparkhire.com), the world’s most popular video interviewing platform for corporate HR departments and the staffing industry, has partnered with BrightMove (www.brightmove.com), a leading provider in on-demand recruiting software with cutting-edge tools to help clients get ahead in the dynamic job market. The partnership between Spark Hire and BrightMove demonstrates the two companies’ commitment to delivering best-in-class technology for their customers. It has also opened the door for Spark Hire and BrightMove to develop an integration which brings a seamless video interviewing experience to the BrightMove platform. From BrightMove, customers select the candidates they want to invite to video interviews. Candidates receive the invitations and complete the interviews on Spark Hire. The completed interview recordings are accessible via the candidate’s record in BrightMove. Spark Hire, the world’s fastest growing video interviewing platform, delivers robust and affordable online video interviewing solutions for employers and staffing firms. Since its launch in early 2012, Spark Hire has helped thousands of companies eliminate phone screens, streamline recruiting efforts, and gain more insight into candidates. Learn more on sparkhire.com. Founded in 2005, BrightMove is a leading provider of on-demand recruiting software for staffing firms, recruitment process outsourcing providers, and corporate HR departments. BrightMove’s platform helps clients find the right talent for the right positions at the right time. For more information, visit brightmove.com.